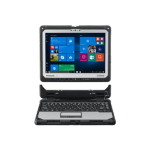 If you’re looking for a rugged, durable laptop, 2-in-1 notebooks or some other mobile technology solution for your commercial or industrial organization, look no further than Panasonic Toughbooks. Panasonic Toughbooks can take some serious abuse like spills, bumps, knocks, and extreme environments. At Altech, we carry a wide range of durable, high-performance notebooks, including the Panasonic Toughbook 20, Toughbook 31 and Toughbook 33, and we’re always looking for the newest and most cutting-edge rugged technologies, so you can keep moving at the speed of business, no matter where you are. At just over six pounds, it’s a tablet-plus-keyboard that has an ultra-responsive touchscreen that works with gloves on or with an included stylus. 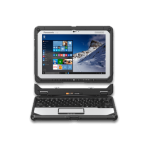 To learn more about the Toughbook 33 or other Panasonic Toughbooks, visit each product page to learn. Not sure what Toughbook is right for your organization? Reach out to us.